The revamped French Vanilla Slender Fx™ Meal Replacement Shake is Soy-Free and Gluten-Free! With a delicious, creamy vanilla flavor and 125 calories per serving, it delivers a wide spectrum of vitamins minerals and other nutrients to support sustained levels of physical mental and emotional energy throughout the day. Combine with the fruit and liquid of your choice for a delicious full-flavored thick milkshake-style drink. 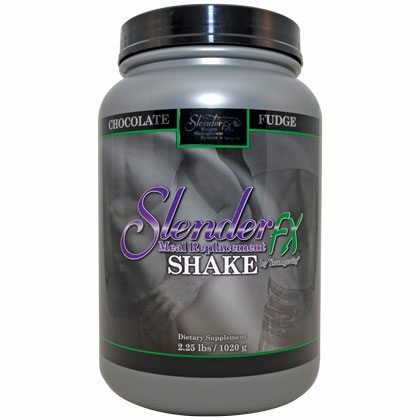 The revamped Chocolate Fudge Slender Fx™ Meal Replacement Shake is Soy-Free and Gluten-Free! With a delicious, creamy fudge flavor and 125 calories per serving, it delivers a wide spectrum of vitamins minerals and other nutrients to support sustained levels of physical mental and emotional energy throughout the day. Combine with the fruit and liquid of your choice for a delicious full-flavored thick milkshake-style drink.